When it comes to your retirement, it's easy to stick your head in the sand thinking you are too young, too busy and too cash-strapped to worry about the future. Or maybe you're discouraged by all the bad news about pensions? But as the nation's favorite money man explains, even the recession is no excuse to stop planning ahead. But where do you start? And who should you trust? 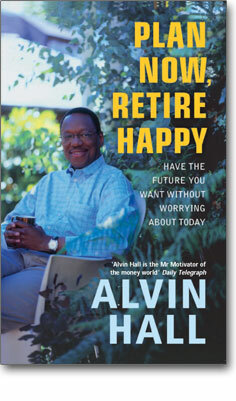 In this step-by-step guide to pensions and building financial security, Alvin Hall separates the myths from the realities, and shows how a little planning and action today will empower you tomorrow. From the very first step of visualizing your retirement, to creating a sound and flexible investment plan that allows you to make the most of your money—whatever your circumstances. Plan Now, Retire Happy is the essential guide for anyone wanting a happy future. Whether you are 20 or 60 and whatever your retirement dreams, picking up this book is the first step to achieving them.